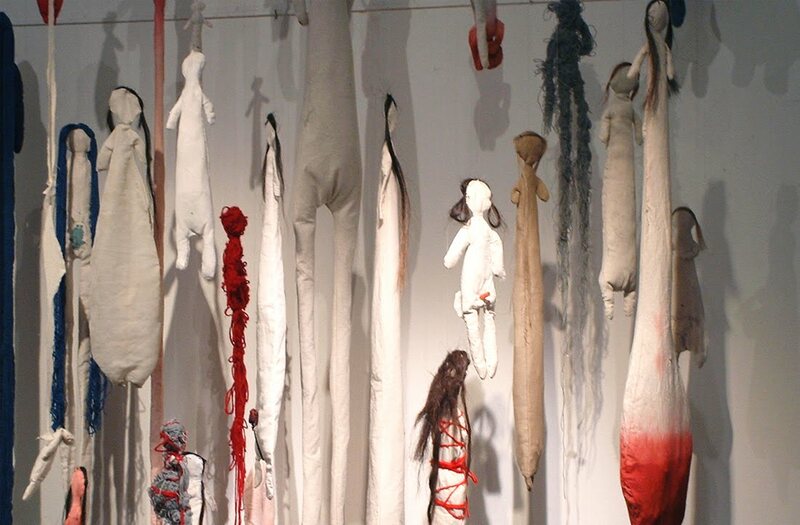 Esbozos de Identidad (Identity Glance) is a textile installation that comprises 100 hand sewn dolls. 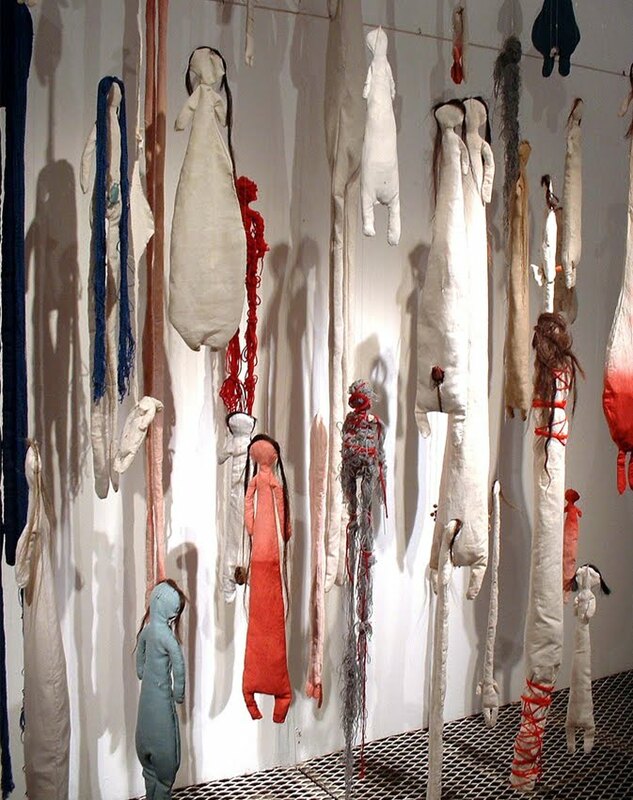 Coming from a long textile family tradition, through this piece I intended to establish a relationship with a practice that was the financial support for my three previous female generations. Committing to an activity that I naturally inherited, this work reflects upon the structural, symbolic and physical transformations that a specific type of labor tradition builds in a family group. I value the understanding that through revisiting a specific identity that was created by the practice, new rituals, perspectives and ideologies are forged. Through a craft narrative that is founded in a matriarchal structure, I invite a new negotiation and positioning for myself as a young female artist. I relocate the labor into the gallery, bringing in discussion around identity and art practice. National Textile Salon, Buenos Aires, Argentina.